Welcome back to the Muslim Converts Channel! Most, if not almost all religious communities across the world have clerics. By cleric we mean some kind of a priest or religious leader. These leaders are either ordained, like in the case of Catholicism or through institutional appointments (without official rites and ceremonies) like in Islam. In other cases, more knowledgeable members of the community organically spring up and take leadership roles. Either way, religious leadership is there. 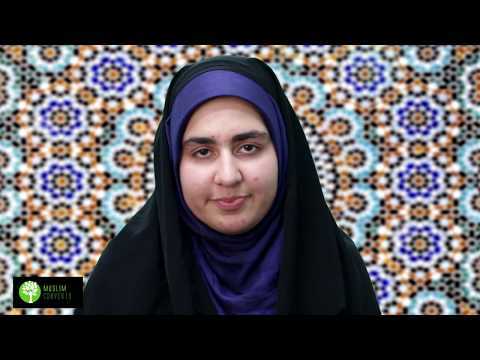 In this lesson, we’re going to look at some of the religious or clerical hierarchies that exist in Muslim communities, particularly Shia Muslim communities. In addition to the hierarchies, we’ll also look at the functions that clerics have in Islam in the day to day affairs of Muslims. There are various terms for clerics in Islam, here we’ll go over some of the more popular ones. An Alim means someone who knows. The term is general and applies to all clerics or scholars regardless of the rank. In some cases however, Alim can be restricted to a highly learned scholar. As you can guess, there is no standard usage of the term except that it is used for clerics in general. Clerics in Islam are usually trained in special seminaries called Hawzas. A Hawza literally means a fountain, as in a fountain of knowledge. Clerics will spend 5 to 50 years studying in those seminaries. The two major seminaries or hawzas are in Najaf (Iraq) and Qum (Iran). The word ayatollah means “sign of God.” If taken literally, all of creation is a sign of God so in this sense calling someone an Ayatollah is not controversial at all, at least from a Qur’anic perspective. However, in Shia Muslim institutions, the word ayatollah has a specific meaning. The first rank that a person attains after studying for a few years in the hawza is Hujjat al-Islam (Proof of Islam) or someone who is an authority in Islam. The mid-ranking clerics (after having studied for a longer period) are called Hujjat al-Islam wa al-Muslimeen) which means someone who is an authority in Islam and an authority among Muslims. The higher ranking cleric, after having completed his studies, is called an Ayatollah. When an Ayatollah becomes sufficiently seasoned enough and is of very high caliber knowledge, he becomes a Marja or a source of legal emulation. A Marja is also an Ayatollah, but he is often referred to as Ayatollah al-Udhma meaning Greater Sign of God. The equivalent of an Ayatollah in Sunni Islam is a Mufti. A mujtahid is someone who is able to do ijtihad, in other words, as we saw before, it is someone who is knowledgeable enough and has gained enough mastery over religious sources to derive Islamic rulings on his own. A person who is a mujtahid is usually called an Ayatollah in Islam. In previous decades, not all mujtahids would be considered Ayatollah. They had to spend over a decade teaching advanced level classes in Islamic law and jurisprudence and manage religious taxes. The term is a bit looser nowadays. Maulana means “our master.” It is a term of endearment to a cleric of any degree. The term is mostly used by South Asian communities. Remember here we are not talking about Imam as in the Imams of the Ahl al-Bayt (as), we’re talking about Imams as religious and clerical functionaries in Islamic centers. Imam means leader. In functionary terms, it is a term that is usually used for two kinds of clerics. The first refers to high ranking clerics, usually Ayatollahs who assume political leadership roles. The second meaning refers to clerics who are resident scholars of particular institutions or Mosques (Masjids). Clerics play an important role in the Muslim community. Not everyone can become a scholar, or set the time to appropriately become experts in Islamic law. As such, we need to follow a Marja in order to quickly learn about our legal duties in Islam and get answers for pressing questions. As we saw in a previous lesson, the practice of following a Marja in issues of Islamic law is called taqlid. Before the internet, Muslims used to call or send letters to their Marjas. Marjas themselves, or their students, would respond to these emails. With the advent of the internet, things have radically changed. People can now send emails asking their questions to their Marjas. Answers usually don’t take too long to come. Most Marjas nowadays have their official websites, so if you have a Marja, take a look at his website if you haven’t already! Clerics in Islam play other functions as well. For many Muslims, they are the ones who marry us and divorce us when relationships go sour. They play important roles in educating the community about the basics of Islam. They are also important arbitrators. Like any other human community, conflicts happen between people, either between spouses, parents and children, or friends. Clerics play a critical role in Muslim communities in helping to resolve these conflicts. In order to find your local Imam, try searching it online. Most Mosques or Islamic centers tend to have a website and in that website the center’s email or phone number is available. Through using that contact info, you can easily get into contact with a resident Imam who can also offer the center’s religious services to you. Someone who possesses knowledge, i.e. cleric. If I want to ask a Marja questions about Islamic law, where do I go? You can visit his official website. Most Marjas have official sites where Q&A are emailed. How can I contact my local resident Imam? Most Islamic centers have websites where relevant contact info is provided. What are the major hawzas or seminaries in the world? If I want to join the hawza, what can I do to enter it? Contact your local Islamic center Imam, he may be able to arrange for you to be trained in a hawza, either within the country or abroad. Why are highly ranked scholars called Signs of God (Ayatollah), isn’t this a bit sanctimonious? Clerics usually don’t refer to themselves as Ayatollahs, its usually the people who call them such. However, according to the Qur’an, all of creation is a sign of God so in this sense, there is nothing wrong or sanctimonious about the term.